The 23-year-old son of Tom Cruise and Nicole Kidman was a DJ for years. He was playing big gigs at the age of 16, and his career brought him everywhere from Las Vegas to Australia. He even had a DJ alias, D.J. C-Squared, that he went by for a minute. But he’s put that on the back burner for a new pursuit: fishing. Now living in Clearwater, Fl. — yes, home to Scientology’s international headquarters — Connor has been spending his days deep-sea fishing, often with the company 2 Shea Charters, and he’s good. 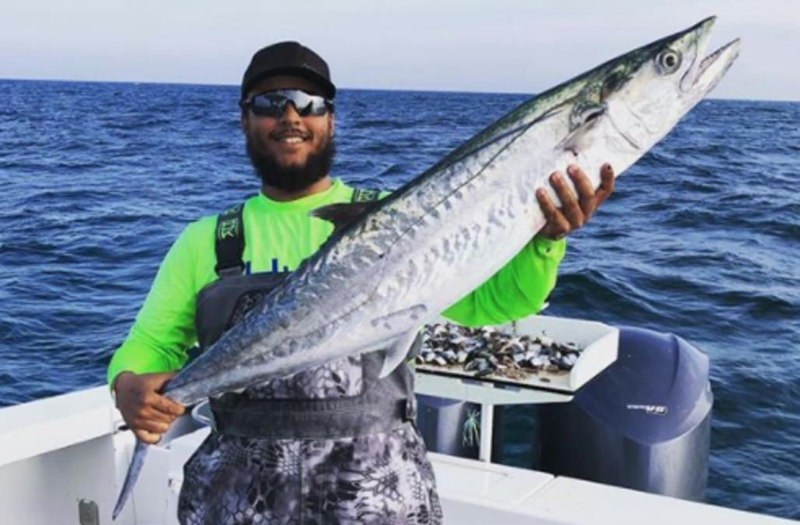 Earlier this month, he and his fishing team came in third in the Rotary Club of Clearwater’s Kingfish Tournament. It's good to be back in Madrid! Prize winnings for the tourney were just over $1,000 for the group — considerably less than his DJ paychecks, which were $10,000 for a two-hour set back in 2012 (so probably considerably higher at the end of his run.) We suspect his paycheck for Red Dawn, his first major film, was much larger than even that. A rep for the charter company hasn’t yet responded to Yahoo’s inquiries, but he’s featured on the company’s Instagram page. Connor also worked with William Morris Endeavor Entertainment and his bio had been deleted from the company’s website. The last photo he posted promoting a gig was in 2016, though a Tampa newspaper reported in September that he was going to DJ a local Halloween party in October. As for Connor’s siblings, he seems to stay close to his sister, Bella, who was also adopted by Tom and Nicole. She recently launched a T-shirt line, and — in a surprise move — incorporated Kidman’s name into the business. (Bella has also reportedly had little contact with Kidman, who married Keith Urban and lives in Nashville with their two daughters.) Meanwhile, his younger half-sister Suri — from Tom’s marriage to Katie Holmes — turned 12 on Wednesday. But Tom hasn’t been spotted with Suri in years, so we imagine for Connor it’s been even longer. Actress Nicole Kidman and her son Connor sit at the dias as they attend the American Cinematheque Tribute to Nicole Kidman November 14, 2003 in Beverly Hills. Kidman received the 2003 American Cinematheque Award for her contributions to cinema. Kidman's daughter Isabella was also in attendance. The tribute will be telecast on the AMC cable network December 1 in the United States. Actress Nicole Kidman and her children son Connor (C) and daughter Isabella sit at the dias as they attend the American Cinematheque Tribute to Nicole Kidman November 14, 2003 in Beverly Hills. Kidman received the 2003 American Cinematheque Award for her contributions to cinema. The tribute will be telecast on the AMC cable network December 1 in the United States.